Lo-Ellen Park Secondary School will host a community concert in support of the Joan Mantle Music Trust on Tuesday, December 18, 2018. The concert will take place at 7 pm in the school’s main gymnasium. The evening will feature a variety of musical performances from the talented students in the Lo-Ellen Park Concert and Jazz Bands. There will also be solo performances, under the direction of music teacher Marc Taillefer. Admission is by donation of choice. All proceeds will support the Joan Mantle Music Trust. Lo-Ellen Park Secondary School is receiving a fourth round of funding from the Joan Mantle Music Trust in the current school year. Lo-Ellen Park Secondary School is located at 275 Loach’s Road in Sudbury. 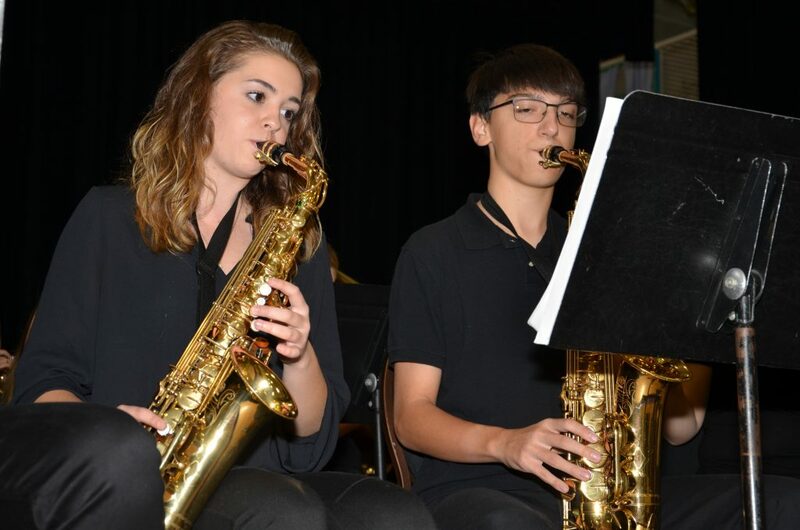 Cydney Tinkham, left, and Marek Havlovic play the saxophone in the Lo-Ellen Park Secondary School Jazz Band. Lo-Ellen Park Secondary School will host a community concert in support of the Joan Mantle Music Trust on Tuesday, December 18, 2018. The concert will take place at 7 pm in the school’s main gymnasium.